The Nielsen Library’s new Seed to Seed Library provides the Adams State University campus and the greater San Luis Valley community with FREE, organic, non-GMO vegetable and flower seeds. The Seed to Seed Library also provides information, resources, and workshops to help gardeners of all skill levels grow healthy, locally adapted food. Seeds are available at the Nielsen Library’s first floor circulation desk and can be checked out just like books, but without the due dates or overdue fines. You don’t have to be faculty, staff, or a student of Adams State University in order to use the library. Any member of the community has borrowing privileges – just bring in a photo ID and we’ll issue you a library card. Join us for our Seed Library Kickoff Event! The Seed to Seed Library will be debuted on Friday, February 20th at the Nielsen Library. 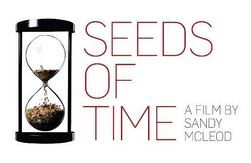 Join us from 5:00pm – 8:00pm for a ribbon cutting ceremony, a short talk about seed saving, a community seed exchange, a showing of the documentary Seeds of Time, and a film discussion. Yummy locally grown food will be served. Hope to see you there! Learn more about gardening and seed saving in the San Luis Valley. To improve your gardening skills, we also encourage you to attend one of the many 2015 workshops and events being led by our program co-sponsors and community partners. By now you’ve probably seen him around campus, at the reference desk, orchestrating library events, or even teaching in your classes. 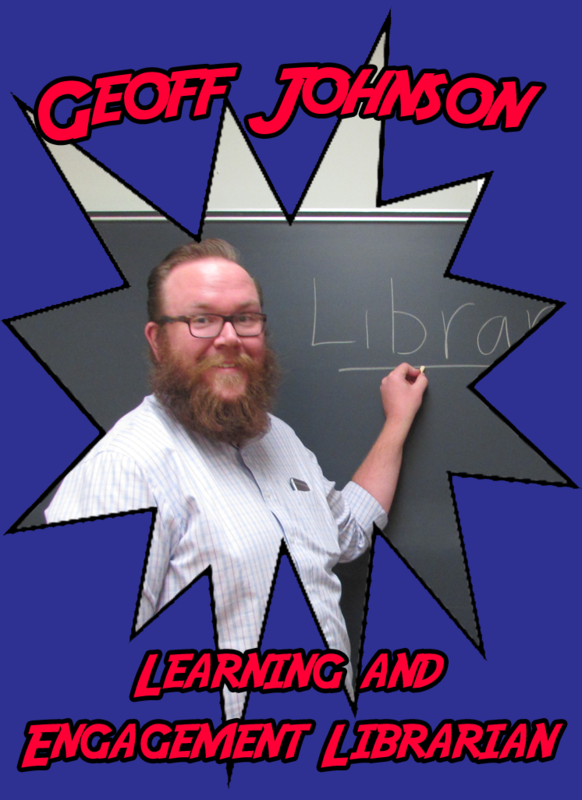 That Librarian With the Beard, aka Geoff Johnson, is our new Learning and Engagement Librarian. Geoff, a Denver native, joined us last October from the University of Texas at Austin, where he worked as the Research Help Coordinator and taught a number of ESL classes. He got his library degree at Simmons College in Boston, and can do a wicked awesome Boston accent on request. Geoff’s primary responsibilities at Adams State include teaching LS 225 and other library instruction sessions, coordinating library events, and staffing the reference desk. He is an avid homebrewer, a Broncos fan, and owns a dog that doesn’t understand how to be a dog. He and his wife, Kristine, moved to Alamosa last fall and are enjoying the town, the university, and the mule deer. Geoff reports that the last time he shaved his beard it was “a horrible mistake” so you can count on him being That Librarian with the Beard for many years to come. Did you know that as an Adams State library cardholder you have access to more than 30 million books, DVDs, and CDs? By using Prospector, you can request items from more than 40 public and academic libraries absolutely free! If you can’t find the book you want in our catalog, scroll to the bottom of the page to see results from Prospector. Once you’ve found an available book, click “Request It,” select Adams State, and enter your name and library card number. Once your book has been delivered to the library you’ll get an email letting you know it’s ready to be picked up. Getting books from Prospector usually takes about a week, so don’t wait until the last minute! If Prospector doesn’t have what you’re looking for we can also order items through Interlibrary Loan. If you don’t have a library card, or your library card is expired, contact the Nielsen Library circulation department at 719-587-7781 or libcirculation@adams.edu. 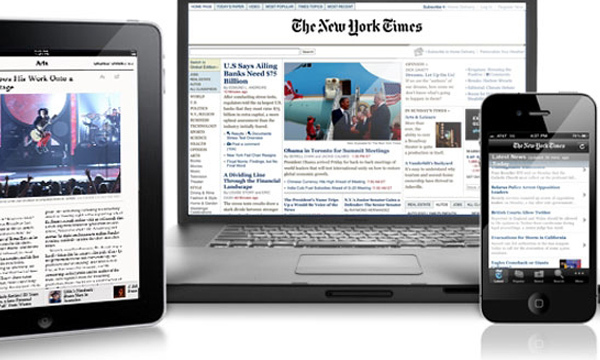 Want Free Full Access to the New York Times Online? Introducing Day Passes! Day passes give you 24 hour full access to the New York Times Online, for free! Simply click on the New York Times, register with the site (or login, if you’ve already registered) and you will have access to as many current articles as you’d like, as well as the full New York Times archives. Day passes are limited to just 10 on-campus users a day, so make sure you get yours early! Questions? Contact Electronic Resources at libdatabases@adams.edu or call the Reference Desk at 719-587-7879. 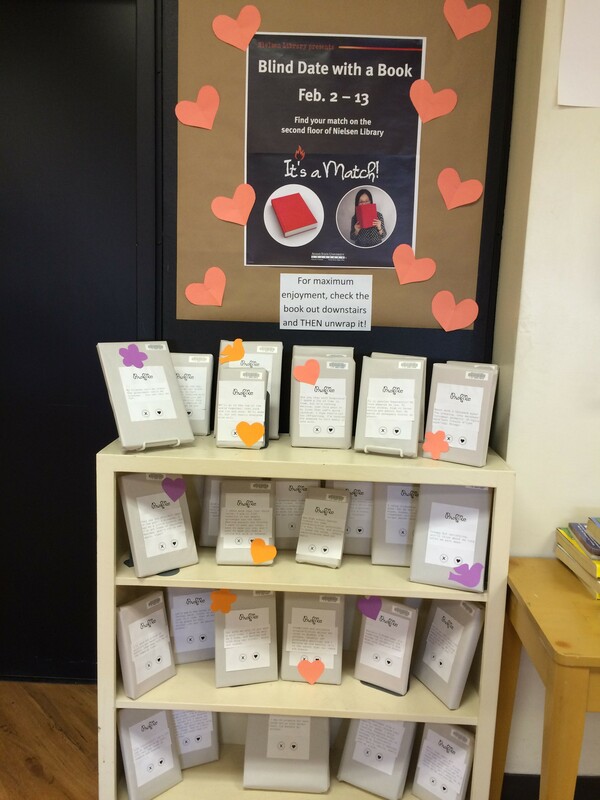 The Nielsen Library is introducing Blind Date With a Book. Library staff have chosen some of their favorite books, wrapped them up in paper, and labeled each one with a “dating profile” to help you find your perfect match. Stop by the second floor of the library (across from the reference desk) and “swipe right” on what could be your new favorite book! Once you find a book you’re interested in, take it to the circulation desk to check it out. Then remove the wrapping to see what you ended up with.